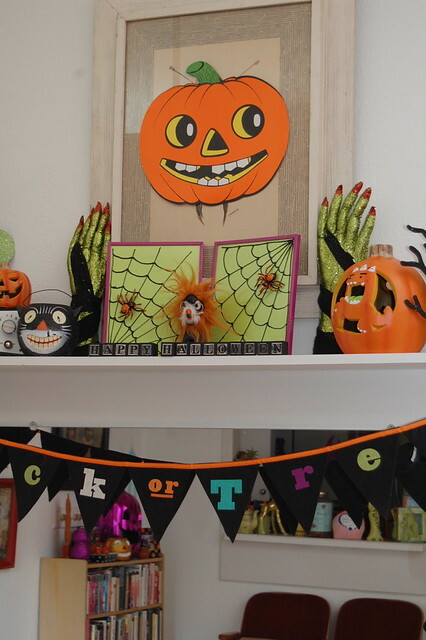 The first day of fall is right around the corner so I figure it is not too early to start Halloween tutorials on the blog. 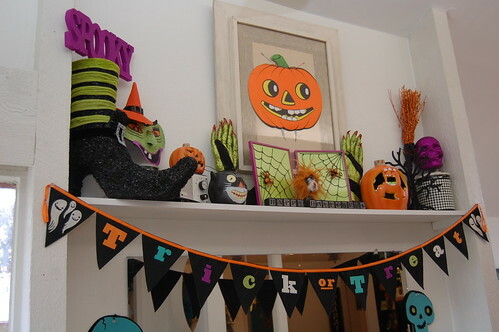 This is the first year I am venturing into the purple realm with my Halloween decor. For a long time I was a strictly orange, black and white kind of girl. Through the years lime green worked it's way in, but I held out with purple until this year. I was creating a vignette above my bar where two large thrifted purple frames I had fit perfectly. 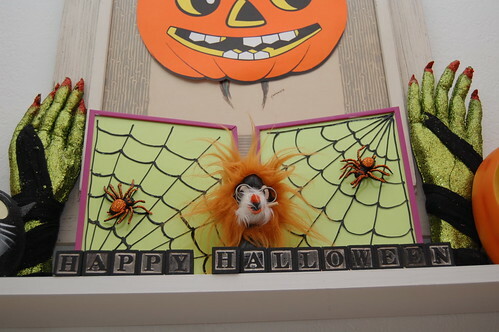 I was going to put in pictures of my kids in their Halloween costumes, but then spidery inspiration struck! 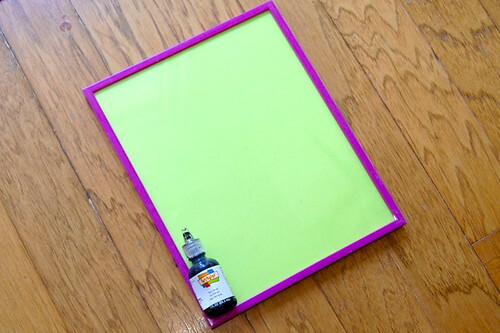 The first thing I did was cut a sheet of lime green paper to fit inside my purple frames. Next up using black Scribbles Paint I drew a spider web on the glass of my frame. The nice thing about this paint is that when Halloween is over I can use a straight razor and peel it up. 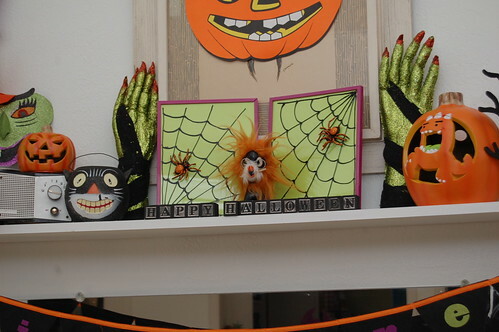 While the paint on your spiderwebs are drying you can adorn your spiders. Mine were plain plastic spiders from the grocery store. I used orange Scribbles paint to add accents. While the paint was still wet I added glitter. 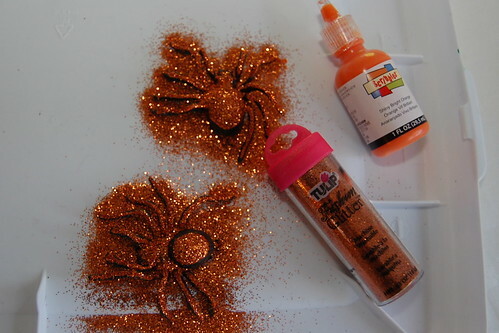 Really, everything is better with glitter including plastic spiders. 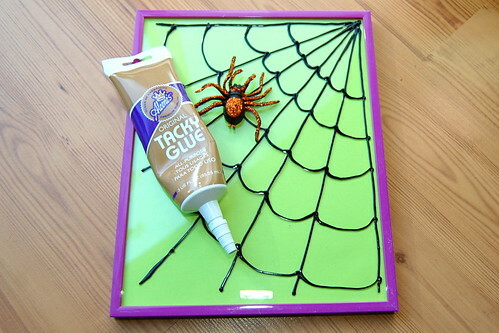 Once everything is dry you can glue your spider to the picture frame. 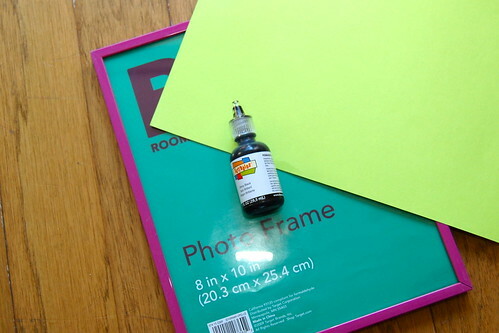 Wait for the glue to dry before you set it upright. I think my new framed spider webs look mighty spiffy up on the shelf. Check out more of my I Love to Create posts here. 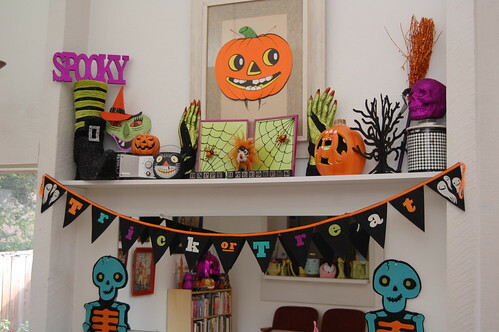 Check out more Halloween posts here.